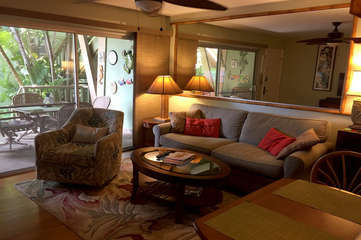 Kihei Kai Resides on the Beautiful and Serene Sugar Beach, in Kihei Maui. On the sunny South Shore of Maui, Sugar Beach wraps all the way from Maalaea to North Kihei. It is Maui’s longest stretch of sandy beach and can be found steps away from Kihei Kai Oceanfront Condos. In the fall and winter Humpback whales frolic just off shore. Year round sun and gentle trade-winds provide the perfect beach going weather.